An atmosphere of enchanted stars and distant galaxies soothes baby in the cot thanks to the innovative system of double projection. This magic also accompanies the child when it becomes older. In fact, removing the arm section of the mobile, it becomes a practical projector from the cot, with soft lights and a rich selection of music. sing the two clearly marked buttons on the front of the panel, classical melodies or new age can be selected. 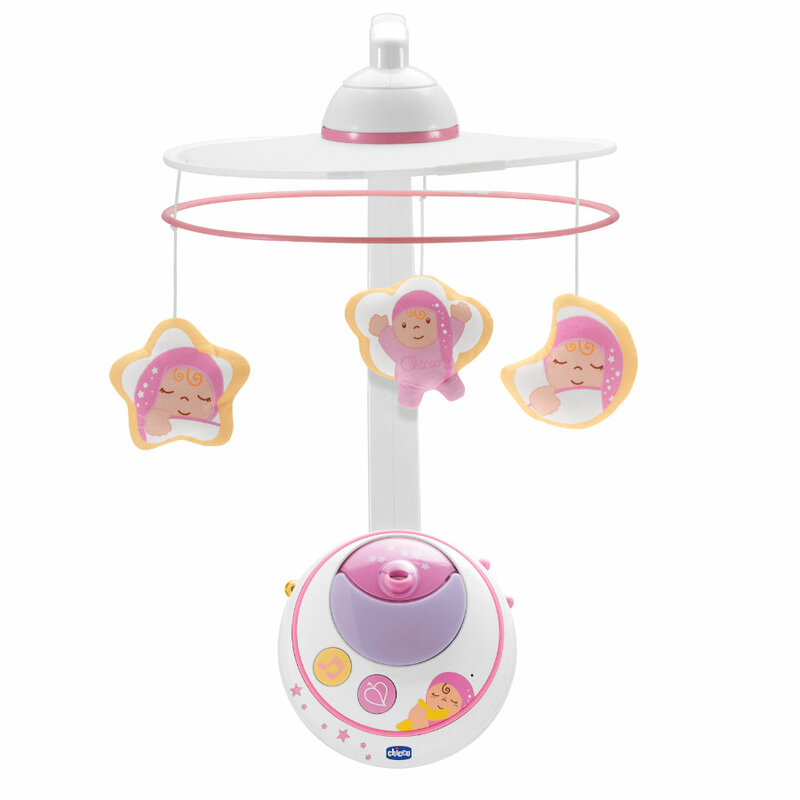 When baby cries, Magic Stars Cot Mobile automatically starts, soothing baby with the magic of the projection and the music. The remote control allows the parent to activate the cot mobile from distance.